If you’ve never been to Fleetwood I suggest you take a look at this Lancashire gem. I have certainly had a soft spot for the coastal town of Fleetwood [north of Blackpool] for many years. The town was planned and built from scratch in the 19th century and retains a gentile air. The promenade has wide open views across the Irish Sea, the little ferry still runs across the Wyre to Knott End and you can stroll up to the top of The Mount and think back to the days when this area was just sand dunes. We had walked along the seafront to the modern observation tower at Rossall Point and chatted to the friendly and knowledgeable bird watching volunteers there, returning through the Marine Hall gardens. The Marine Hall is on Fleetwood’s waterfront and was built in 1935. It was February and the gardens were tidy but didn’t look their best but I immediately noticed this memorial bench to Ian Munro. Ian Munro was Head of Culture, Leisure and Tourism at the local council. He died suddenly in the early days of 2017. 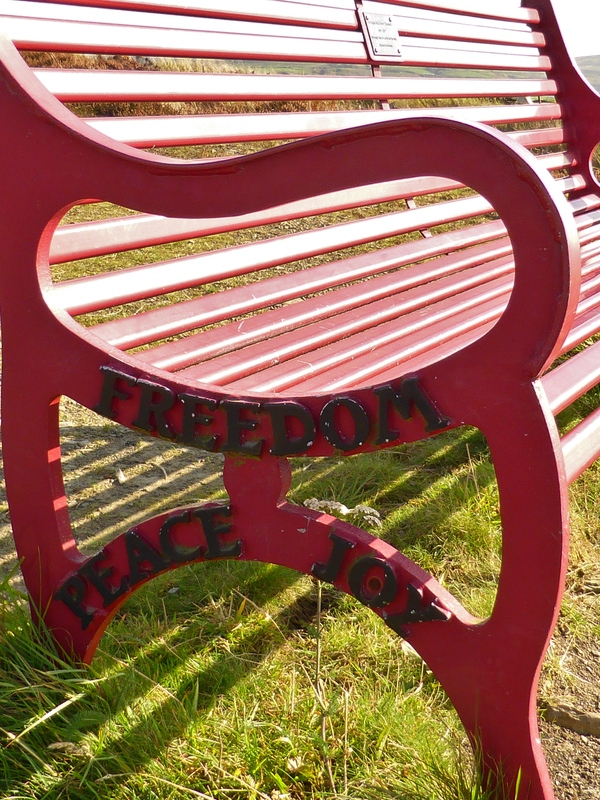 The memorial bench looks over the gardens of Fleetwood’s Marine Hall and tells me that Ian Munro’s hard work and dedication was appreciated by his colleagues and the people of Fleetwood and he is very much missed by them and his family. Blackpool promenade in the sunshine is a wonderful place for a walk. We had planned to take a tram but it was so sunny we opted for the fresh air and walked from Squires Gate to Blackpool Tower. Blackpool has tidied up its seafront in recent years and if you haven’t been for a few years you wouldn’t recognise it today. Along the way I found this memorial bench to Harry Jones. Harry Jones, a 20-year-old student, died tragically on 13 January 2013. Harry Jones is described with love and warmth by his family and friends. He was a bright young man who had a promising future and it is clear from the words of those who cared about him that this ‘Engaging, witty, polite and infectious’ young man will be very missed by his family and friends. At his funeral friends described him as ‘Caring and loving’ and ‘The life and soul of the group. He will always be in our hearts and never forgotten.’ The heartbreak of losing a son and brother in such a sad way is hard to imagine. I sat on the bench to Harry Jones and thought about this young man and about other memorial benches I had picked out that remembered someone who had died far too young. As I so often do on these occasions, I also thought about my own dear friend who died when we were both at school and she was just 14-years of age. My own experience has taught me that Harry Jones’ friends will never forget him and some of them may take away the lesson that every day we are alive is precious. It was a splendid sunny day in February when we visited Lytham Hall to see the carpets of snowdrops that have naturalised around the woodland garden of this splendid Georgian country house. The parkland and hall are being restored by the local community and volunteers greet visitors enthusiastically at the gates. The parkland can be visited freely on weekdays and during February weekends snowdrop open days are held when the tearoom is open. Snowdrops are the perfect way to brighten up a winter walk. 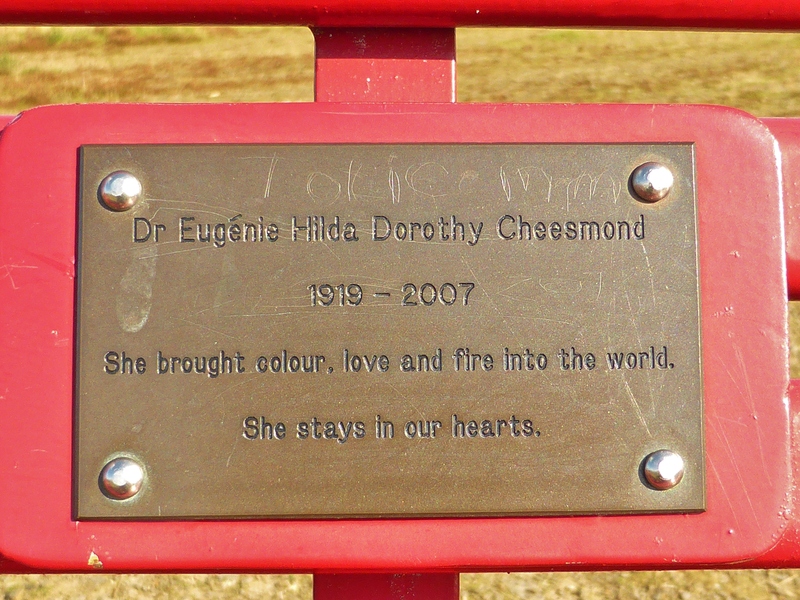 Among the snowdrops I found this perfectly placed memorial bench to Therese Seed who died at the age of 56-years. Therese Seed’s family and friends must have chosen this spot overlooking the brilliance of the snowdrops as a lovely place to sit and remember her. 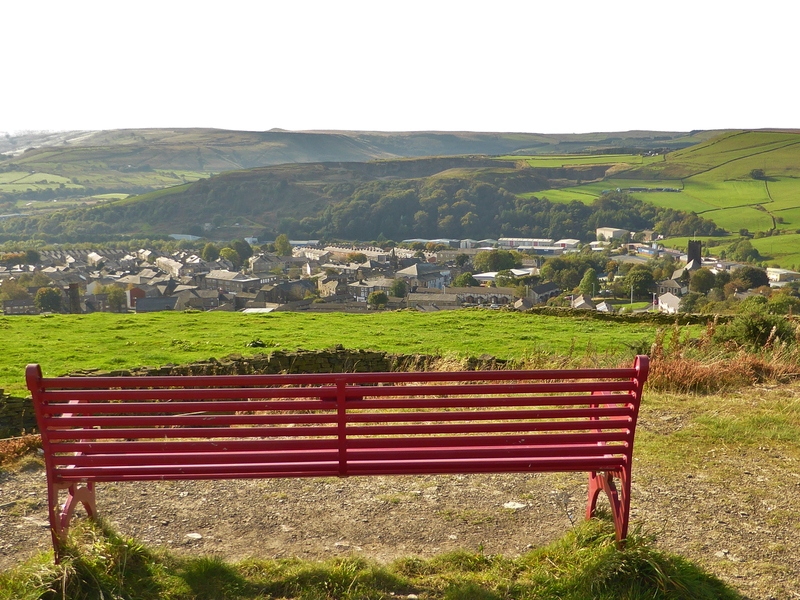 I certainly sat awhile here enjoying the view and wondering what Therese Seed’s story is. Therese Seed appeared to live in Lytham as she continues to be remembered on the anniversary of her death in the church magazines for two local Catholic churches, Our Lady Star of the Sea and St Peter’s Catholic Church.